Ibrahim, a three-time governor and senator, spoke at the launch of his book, “Poorlitics”, to mark his 70th birthday in Abuja. 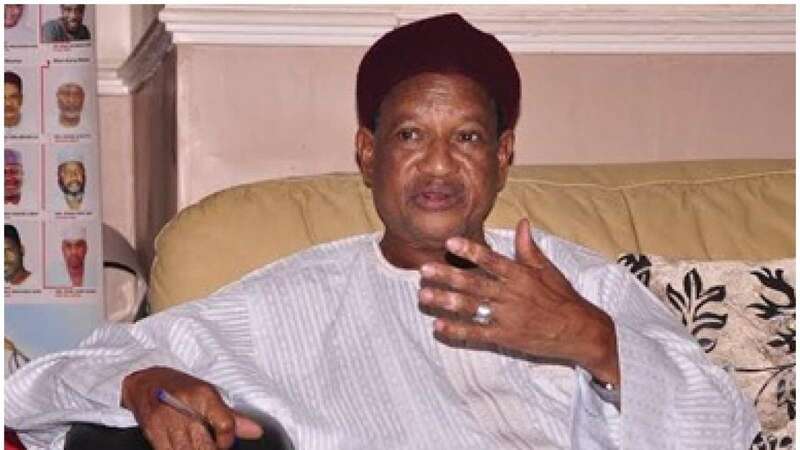 Former Governor of Yobe, Sen. Bukar Abba-Ibrahim, on Saturday evening narrated how ordinary people reportedly made him governor for the first time in 1991. He said he had only N20,000 in his account at the time the people called on him to run for the office. He said the people’s power made him to defeat his formidable opponents who were “well-resourced with money, thugs, branded vehicles and powerful national godfathers”. Ibrahim stated that he won the support of the masses with community service and people-oriented politics while he was a civil servant and Commissioner in the old Borno. He urged young Nigerians aspiring to take over the country’s leadership to toe the same path to dislodge the current rule of money politics in the country. “When Ibrahim Babangida introduced politics in 1991, I was innocently supporting my friend to be governor of Borno, when suddenly we heard that Yobe had been created. “Before I knew it, I was besieged by friends and ordinary people to run for the office of the governor. “I had only N20,000 in my account, and I did not know how I could campaign with only N20,000, but immediately I announced my intention to run, the people took over. “Friends appeared everywhere with money and their vehicles; the campaign offices suddenly appeared. “Ordinary people joined, posters came from everywhere. The people ran that campaign,” he said. He further recalled that his opponents, who had not witnessed people politics, saw the contest as an easy one since he was just an “inconsequential upstart”. “They believed money did all the talking. I did not know either. “It was a sharp learning experience for me also, and the people swept me to power, resisting and sweeping away all attempts to rig me out,” he added. Ibrahim, who announced his retirement from politics, urged Nigerian youth to rise up and take power the way he did to become governor for the first time at 42 years old. He advised them against assuming that the elders would voluntarily step aside the way he had chosen to do. “I have given you the book “Poorlitics” to tell you how I did it and to encourage you to use the force of people politics to dislodge money politics. “Those of us who are now analogue statesmen can, and must be displaced by those of you who are digital youngsters, and the book Poorlitics, shows you how. “Go and serve your community with all your heart, and the people will make you their political leader. “People politics will always defeat money politics any day,” Ibrahim said. In a presentation, co-author of the book, Dr Sam Egwu, defined ‘poorlitics’ as the politics of the poor; the politics of mass mobilisation. Egwu said, “It is about practical, project-based and progressive political leadership. “When done consistently for some years before seeking office, and people are convinced of your sincerity, they will give you money and vote for you repeatedly in elections. He stated that it was that brand of politics that Bukar Ibrahim and past political heroes like Dr Nnamdi Azikiwe, Obafemi Awolowo, Aminu Kano, Waziri Ibrahim among others played. Egwu stated that the book would transform the country’s politics and help young Nigerians to reclaim it from the grip of money bags. The Chairman of Sheraton Hotel, Mr Goodie Ibru, who sponsored the international online publication of the book, said the youth must take action to actualise their dream of leading the country. While noting that young Nigerians had the numerical strength to realise their dream, Ibru urged them to emulate the author by engaging in purposeful grassroots politics. He stated that ‘Poorlitics’ contained practical steps that young people could take to actualise their ambition. He commended Ibrahim for sharing his political experience and providing mentorship to the younger generation through the book, urging other leaders to do same.